It’s the time of year to switch your phone off, put the kettle on, grab a blanket and get between the covers – of a good book that is. But what to choose? 2018 promises a cornucopia of treats for lovers of fiction and non-fiction alike, with everything from twisty thrillers to big-hearted stories of friendship. Here’s a selection of some of the books from big names – and hotly-anticipated debut writers – that you’ll be seeing on the shelves this year. 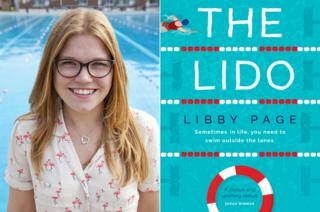 Debut author Libby Page has turned her love of swimming into a novel centred around London’s Brockwell Lido – and the unlikely friendship that forms between two women who try to save it. Young journalist Kate is lonely and unhappy when she is sent to interview 86-year-old Rosemary, who swims there every day and doesn’t want developers getting their hands on it. But far from it being a straightforward assignment, it ends up changing her life for the better. It’s already been lined up to make a splash at the cinema too, with a film version in the pipeline. All James wants to do is find The One – but as anyone dating in 2018 knows, that’s easier said than done. His long-term relationship with Adam has come to an end and his best friend is moving to Russia. But before she goes, she urges James to set up a dating blog (much like the author Justin Myers did himself – you might know him as The Guyliner) – and when he dates an Olympian, he finds himself going viral. 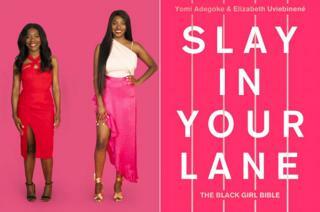 The self-declared Black Girl Bible takes the form of a series of interviews from leading black women who have succeeded in a variety of fields – including director Amma Asante and author Malorie Blackman. Best friends Yomi and Elizabeth decided to write the book because they realised there was a huge gap in the market – these were the stories they wanted to read about, so they decided to write it themselves. They also scatter in anecdotes from their own lives in their bid to tackle the challenges facing black women today, and plenty of advice. Transport yourself with a sumptuous, mysterious story set in Georgian London. It starts in September 1785 when merchant Jonah Hancock finds one of his merchants at his door – saying that he’s exchanged Jonah’s ship… for what appears to be a mermaid. (Just an everyday, run-of-the-mill swap, then.) Everyone wants to see this creature and Jonah finds himself thrust into the whirl of high society, where he meets courtesan Angelica Neal. But how will the mermaid affect their life together? 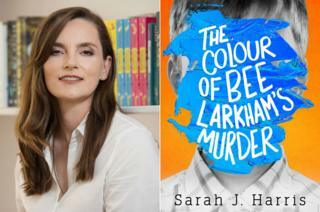 Synaesthesia (that’s when someone’s senses work in such a way they hear” colours or “taste” words) and face blindness fascinated education journalist Sarah J Harris so much that she researched the matter, eventually coming up with the character of a teenage boy with both conditions. Jasper experiences sounds in colours, and now he’s seen a new one – the colour of murder – in his neighbour’s scream. He knows something terribly wrong has happened to Bee Larkham but he can’t quite work out what. It doesn’t help that he doesn’t recognise faces, not even his own father’s. An unusual and insightful read. This memoir is a dazzling example of what you can achieve if you set your mind to something. Tara was raised in a survivalist family in Idaho and taught to prepare for the End of Days. 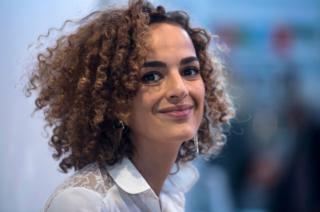 Isolated from society, she wasn’t even allowed to seek medical treatment if she needed it. She spent her days stewing herbs for her healer mother or salvaging metal. The first time she set foot in a classroom was at the age of 17 – and yet 10 years later, she had a PhD from Cambridge. Tara’s story is an inspirational, truly unique coming-of-age tale. Imagine knowing you have a stalker – and the problem being that they live in the flat underneath yours. 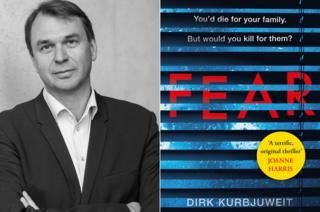 That’s the premise of Dirk Kurbjuweit’s chilling novel, loosely based on the real-life experience he and his family suffered. The neighbour leaves notes under their door, puts a ladder under their window to spy on them and posts notes on a communal board, leading Randolph to conclude there’s only one way out of the situation. A claustrophobic and unsettling read. An alcoholic unreliable narrator sees a crime being committed – or does she? If you think the premise sounds familiar, well, in some ways it does. But Anna, like a modern-day Lady of Shallott, is confined to her home by agoraphobia and has been for 10 months, giving a new twist in this tense thriller. Fun fact – AJ Finn is actually the pen name of publishing executive Dan Mallory, who submitted the manuscript under the pseudonym. Originally published in French as Chanson Douce and already a bestseller, Lullaby opens with a couple returning home to find their nanny has murdered their children. Louise had seemed like the perfect nanny when Myriam and her husband Paul hired her to care for their children in their Paris apartment. But that turns out not to be the case. Lullaby explores the relationship between the couple and their nanny – but be warned, it’s not for the faint-hearted. 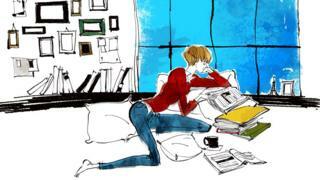 This tells the true story of freelance writer Rebecca, who was diagnosed with breast cancer in her 30s. Two years later, and after months of treatment, she discovered a love of gliding. It took her around the world, from Wales’ Black Mountains to New Zealand’s Southern Alps. She started to write about her new passion, and the history of gliding – the result is Skybound. Sadly she became ill just as she was finishing the book, and died in September 2016. Thrillers don’t get much more twisty and turny than this one. 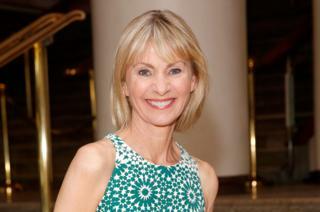 Vivian Miller works for the CIA, rooting out Russian agents. So it’s a slight problem then when she uncovers a network – and sees the photograph of someone very, very familiar to her looking back. With the safety of her three young children at stake, she’s got to make some life-changing decisions. If you don’t mind staying up reading til 3am, this is the one for you. Having a feel-good war-time novel may seem like a contradiction – but that’s exactly what AJ Pearce has pulled off here. Emmeline Lake is a budding journalist in London in 1940 who gets a job typing up letters for an agony aunt (not quite the war correspondent role she’s been after). When Mrs Bird refuses to reply to any containing “unpleasantness”, Emmie decides to do just that herself. This is AJ Pearce’s first novel, and she was inspired by discovering a 1939 women’s magazine. 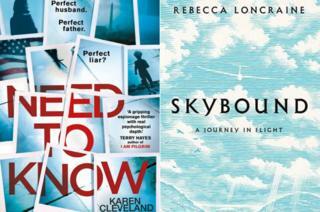 There are many books from established authors to look forward to in the new year too. Anne Tyler‘s Clock Dance (Chatto and Windus, August) is about a woman who uproots her life to help her son’s ex-girlfriend after she is shot. Kate Mosse brings us The Burning Chambers (Mantle, May) – the first instalment of a trilogy spanning three decades, based around the French Wars of Religion. Kate Atkinson‘s Transcription (Doubleday, September) tells the tale of a young woman recruited to the secret service during the war – and how her life unravels when she then joins the BBC when the war is over. Jim Crace brings us his new work The Melody in February (Picador), the story of a renowned musician attacked in his home by who he describes as an “innocent and wild” child. There’s also a new novel from Julian Barnes, with The Only Story, out in February (Jonathan Cape). Sophie Kinsella fans will rejoice at the release of Surprise Me (February, Bantam) about a couple who find out at a health check that they could have another 68 years together – so they set out to, you guessed it, surprise each other to keep the spark alive. Crime writer Jeffery Deaver also releases his latest book, The Cutting Edge (Hodder & Stoughton), in May. Lovers of short stories also have Curtis Sittenfeld‘s first collection in that genre to look forward to, with You Think It, I’ll Say It (Random House, April). Then there’s Rose McGowan‘s memoir Brave (HarperCollins, January) – about being born into a cult and then living in the cult of Hollywood. And, marking the centenary of women over the age of 30 getting the vote, Helen Pankhurst – the great-granddaughter of Emmeline Pankhurst and granddaughter of Sylvia Pankhurst – brings us Deeds Not Words (Hodder & Stoughton, February). It looks at how women’s rights have changed over 100 years, and how far there is still to go.